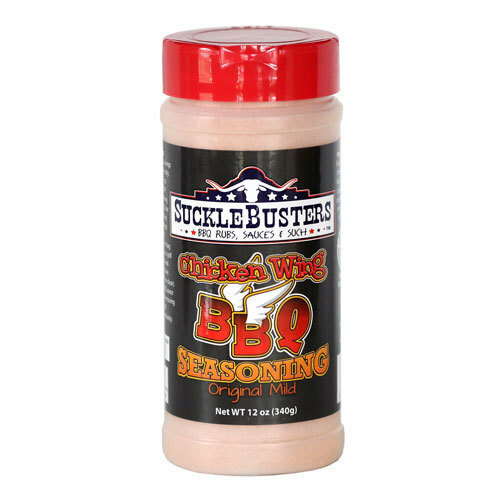 Take your chicken wings to a whole 'nutha level with SuckleBusters BBQ Chicken Wing Seasoning! This is a full-flavored and savory seasoning with a medium level of heat from cayenne and black peppers. This seasoning is perfect for grilling any type of chicken and our chicken wing recipe is included on the label. All natural and gluten free.